The Palm Beach Food & Wine Festival will celebrate its eighth year as one of the country’s most prestigious and delectable culinary and wine programs from December 11-14, 2014. Held at the quintessential Four Seasons Resort Palm Beach and at select locations on the island of Palm Beach, the festival will showcase some of the world’s most renowned chefs and wine industry leaders through a collection of dinners, late-night parties, tastings and seminars. 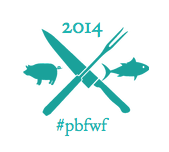 The four-day festival kicks off Thursday, December 11, with two collaborative dinners held at Palm Beach’s most popular restaurants, Būccan and PB CATCH Seafood & Raw Bar. Over the following three days, guests can take part in an official kick off party at The Breakers Palm Beach and a bevy of fun tasting events: the annual Chillin’ N Grillin’, three industry panel discussions, Street Food competition featuring Palm Beach versus Miami chefs and two children’s cooking demonstrations, all held throughout one of the most idyllic destination settings in the world. Talent highlighted throughout the festival includes: Daniel Boulud, Robert Irvine, Marc Murphy, Elizabeth Falkner, Jeff Mauro, Ken Oringer, Virginia Willis, Anita Lo and Gabrielle Hamilton, with local favorites Clay Conley, Darryl Moiles, Lindsay Autry, Aaron Black and many more. This gourmet getaway is part of Four Seasons Hotels Food & Wine Festivals, a new collection in which Four Seasons Hotels & Resorts is working with community partners to spotlight annual food festivals that offer one-of-a-kind experiences for consumers to indulge their culinary fantasies, which also includes festivals in Hualalai and Bangkok. Special priced festival packages are available through the website. Options include the PBFWF Passport Package with access to all events for $680 (a 25% savings), the Four Seasons TASTE Package offering an exclusive price of $267.25 (a 15% savings) to every Four Seasons-hosted event, and the Pick 4 Package, which allows guests to select four events (a 20% savings). All packages exclude tickets to Kids Kitchens. 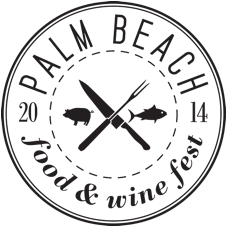 The Palm Beach Food & Wine Festival is produced by Brickhouse Public Relations with support from community partners Panache: A Classic Party Rentals Company, Discover Palm Beach County and Premier Beverage. After seven successful years, the Palm Beach Food & Wine Festival returns to the balmy island of Palm Beach for its eighth annual showdown, December 11-14. Held at a time when South Florida is experiencing its best weather of the year, PBFWF celebrates incredible foods prepared by some of the world’s most renowned chefs, enjoyed in a variety of this resort destination’s most idyllic settings—an allure that keeps even the most discerning gourmands coming back each year to experience this inspiring festival.